So, how exactly do you get to the most popular island of Belize? Catch a direct flight to Belize City, take in the views while you fly to Ambergris Caye, then grab a taxi to your hotel or hit the town. Finally, stop by the Grand Baymen Clubhouse for a cold beverage and an unbeatable view! 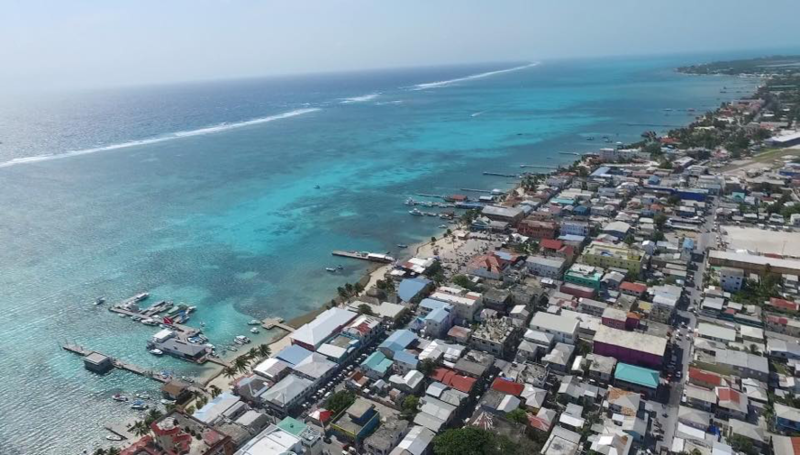 A greater number of direct flights allow you to spend less time travelling to Ambergris Caye and more time exploring the incredible dive sites and bustling town of San Pedro. Did you know the flight from Denver is just four hours? You’ll be on Ambergris Caye just in time for a classic Belizean lunch of fry jacks and Belikin beer. 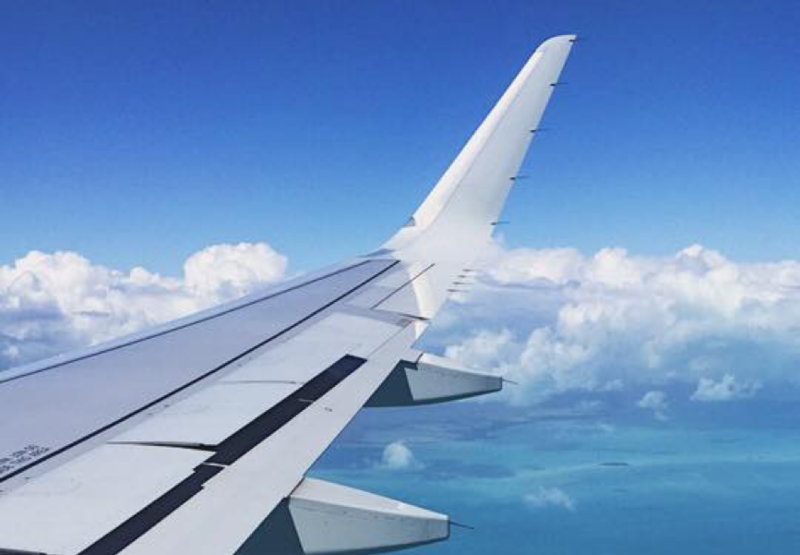 to Belize, it will be much easier to fly here without having to go through U.S. customs. Tip: Don’t forget your snorkeling gear! If you have your own snorkeling mask you’ll not only save yourself money on rentals, but you’ll also be able to easily observe the marine life in Belize’s famous turquoise water. Once you step off the plane in Belize City, you’ll be greeted with the easy-going attitude of Belizeans. Once you pass through customs and retrieve your baggage, you’ll need to go to the Tropic Air or Maya Airways desk to check-in to your flight. Did your flight land early? The airlines are extremely accommodating and willing to put you on an earlier flight if available (the same is true for late flights). On the puddle jumper flight you’ll get a spectacular aerial view of islands dotting the water. The trip lasts about 15 minutes and costs about $90 one-way. Tip: Take a ferry to Ambergris Caye instead and save some money while enjoying an alternative route to the island. Remember you’ll need to pay for a taxi to the Marine Terminal in Belize City or to Oar House Restaurant and Bar for a Tropic Ferry. The taxi will cost about $30, so be sure to find others heading that direction and to split the cost. Ask your hotel to help confirm your ticket in advance for the Marine Terminal during high season. The trip lasts about 90 minutes and fare is $10. The airport is located right on the edge of San Pedro Town. From here you can choose to take a taxi directly to your hotel, rent a golf cart from across the street, or (depending on your luggage) take your first look around town! If you ask, hotels will often arrange transportation for you. Some will have arrangements with certain taxis for fair prices and others will pick you up on golf carts themselves. Tip: If you decide to walk around town, continue north of the airport and you’ll find yourself on Middle Street. The streets of San Pedro are affectionately known as “Front Street,” “Middle Street,” and “Back Street.” Head towards Front Street to get your first glimpse of the beautiful Caribbean! Whether you’re snorkeling in the Hol Chan Marine Reserve, hiking the Lamanai Mayan ruins, or taking a stroll around Central Park, Belize is sure to be your favorite vacation destination. 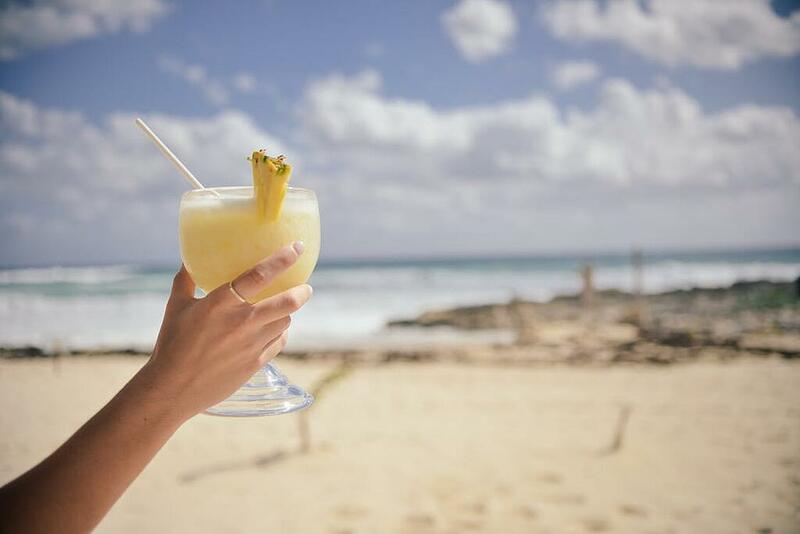 Don’t hesitate to stop into the Grand Baymen Clubhouse, located half a mile south of town beside Crazy Canuck’s in the blue house, for an island welcome of a cold beverage and unbeatable view. 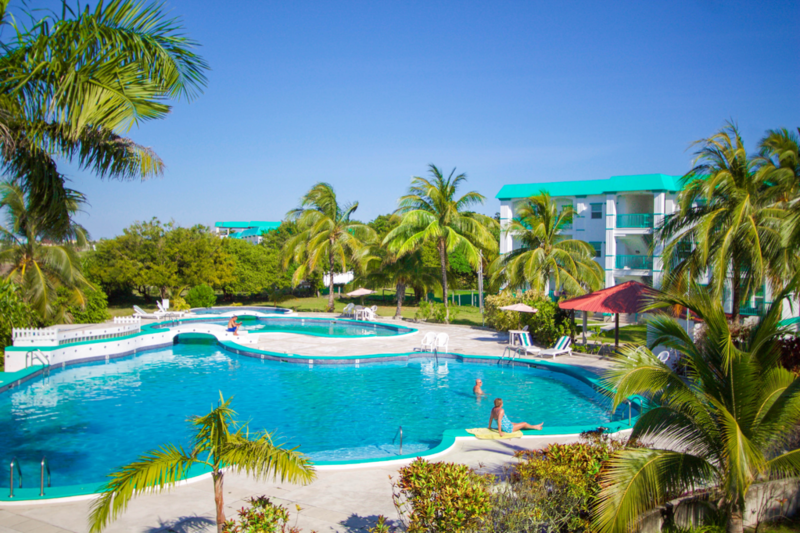 Welcome to Ambergris Caye!